I used to be somewhat nervous of hunting out of hang-on stands. With my Tree Stand Buddy®, I feel safer than I ever have. Ill never hunt without a Tree Stand Buddy® bolted to my stand and tree! There is no better, or safer, way to hang tree stands. My stand is out of the elements which means a safer and longer lasting stand. Instead of investing in many cheap stands I can invest in ONE great, comfortable stand and take it to all my favorite sets and slip it down on the TSB bracket. 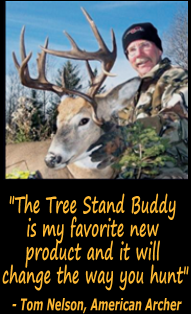 “We were primarily hunting out of climbing stands until we came across the Tree Stand Buddy®. By using the TSB system we now have the same portability as with a climbing stand. Hanging and using a lock on stand is not a second option anymore. Also the concern of having the stand stolen now never crosses our mind; the stand can be removed in seconds at the end of each hunt using the TSB. The Tree Stand Buddy® takes all the hard work and risk out of hanging a lock on. Everyone should be using a Tree Stand Buddy®. I know we are glad we tried it”. “I’ve used the Universal “Hang on” tree stand sytem throughout an entire bow hunting season as well as an entire rifle hunting season. 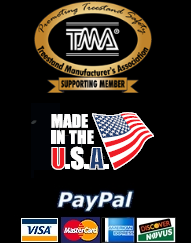 I’ve been hunting for the better part of 60 years and have never seen a better product for quick and easy setup or one that offers more total safety”.